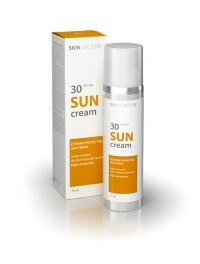 This fragrance free, light lotion protects skin from daily exposure to damaging UVA and UVB rays with a full spectrum transparent Zinc Oxide formula. Contains Vitamin E, Extracts of Gingko B..
Blemish Fix is a fast-acting spot treatment which effectively combines salicylic acid, with Witch Hazel, and Camphor. Salicylic acid deep cleans your skin and unblocks pores while hydrating. It c.. 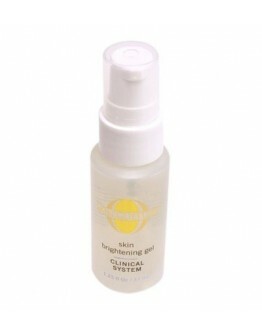 This deep cleansing lotion includes natural fruit acids, Glycolic Acid and Lactic Acid. They work to loosen the bond of dead skin cells to accelerate the natural skin renewal process revealing a fresh.. 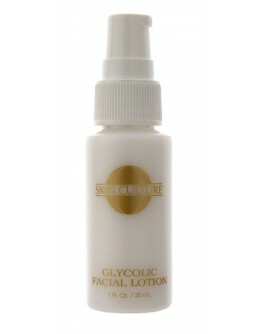 The Glycolic Facial Lotion is a nonabrasive exfoliating, oil-free. 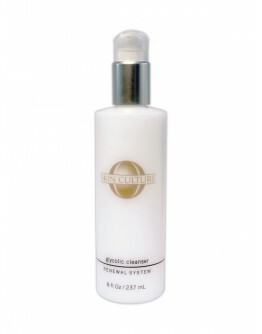 8.5% glycolic acid treatment lotion, which works to wake up your skin. Assists in skin rejuvenation of environmentally and photo..
A highly effective formula developed to meet the needs of dry or dehydrated skin. 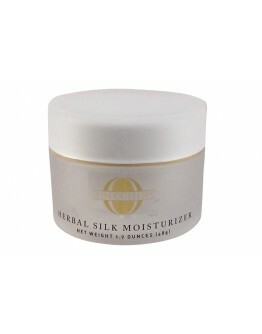 This silky moisturizer leaves a light protective moisture barrier that helps smooth skin texture. 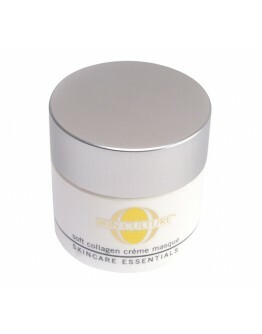 Rosemary, Goldenseal..
Honey, the key ingredient in this exfoliating crème, has many functions. Honey is valued as a humectant because of its sugar content which soothes the skin. Plus, it has mild anti-septi.. 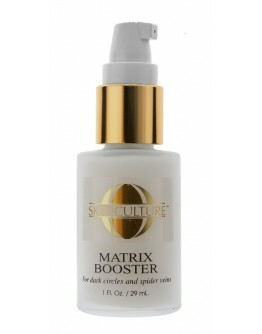 This formula has a multitude of applications to help give skin an extra boost in hydration. 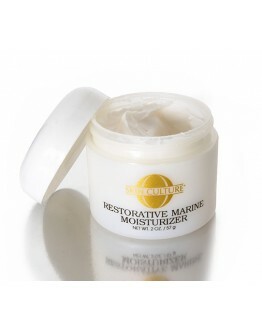 Helps to regulate unwanted oil and dry patches and, increase skin firmness and elasticity.This product is al.. Enjoy body skin that is noticeably clearer and smoother - give your skin a healthy glow with Skin Culture’s Miracle 3 Body Kit.Our Miracle 3 is a, spa-like, 3-step body treatment that rejuvenates the .. 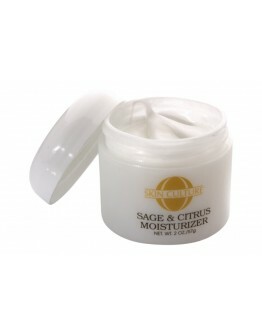 Helps to smooth and soften problem skin. Recommended for use following a chemical skin peel.Benefits:Softens and smoothes the surface of the skinHydrates dry, parched skin.Skin Type:Suitable for use o..
With the essential oil scent of Bergamot Oil, this formula has a special bio-fermentation technology that is derived from red marine algae that is abundant along the shores of the Hawaiian Islands.&nb.. 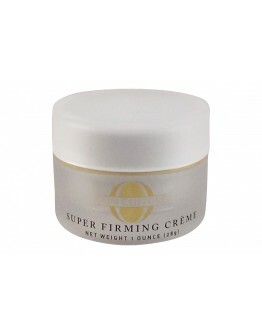 This lightweight, fluffy crème provides moisture without feeling heavy or sticky to the touch. It contains Sage, Watercress and Lemon Bioflavonoids to help purify and revitalise oily/combination skin ..
A gentle skin brightener that uses Bearberry, Birch Bark and Licorice Extracts to provide superior brightening and fading. Magnesium ascorbyl phosphate is also used to condition the skin while offerin..
Our maximum strength skin peel providing the deepest peeling and best results. Peel 4000 is literally a second chance for your skin and can bring about a noticeable improvement in t..
Soluble Collagen, Shea Butter and natural vegetable oils hydrate and rejuvenate dry, mature and environmentally damaged skin. Benefits:Clarifying, soothing and smoothingHydrates and regeneratesAn.. 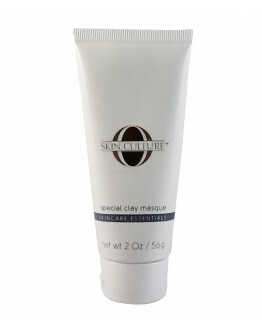 This unique masque incorporates a special active Papaya Enzyme to re-texture and smooth the surface of the skin. Beeswax and Avocado Oil moisturise and hydrate while Tapioca Starch and Kaolin Clay tig.. This special blend of clay, together with sulphur-rich ichthammol, naturally cleanses and purifies oily, problematic skin. Skin Type: Oily, acneic skin.Size:2 oz / 56g..
LIMITED TIME OFFER - ORDER TODAY AND GET AN EXTRA SKIN PEEL 4000!Uneven skin tone and hyper-pigmentation is a common problem that can affect anyone regardless of your skin color. In addition, ski..
LIMITED TIME OFFER - ORDER TODAY AND GET AN EXTRA SKIN PEEL 4000!Specially developed for the treatment of spots, pimples and excessively oily skin.Within one month your spotty, oily, rough and bl..
LIMITED TIME OFFER - ORDER TODAY AND GET AN EXTRA SKIN PEEL 4000!Specially developed to treat fine lines and wrinkles, large pores, aged and sun damaged skin.Within one month fine lines and wrinkles w.. This orange oil scented, high tech complex provides ingredients which help firm and tighten ageing skin, while providing enhanced texture and a reduction in the appearance of wrinkles. 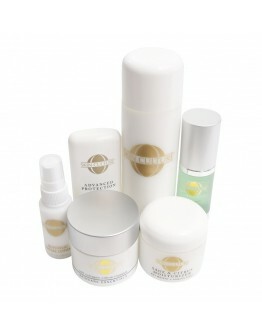 High doses of V..
Combats problems such as uneven skin tone, hyper-pigmentation, blemishes, and acne scars and marks. Helps return your skin to a smoother, clearer and more even toned appearance - just as nat..
Advanced Facial System 2 is specially developed to treat spots, pimples and excessively oily skin. Within one month your spotty, oily, rough and blemished skin will be replaced with skin that is ..
Advanced Facial System 3 has been specially developed to treat fine lines and wrinkles, large pores, aged and sun damaged skin. Within one month fine lines and wrinkles will be reduced and soften..
Peel 3000 delivers outstanding beauty and clarification within 1 week. Peel 3000 involves a six-day application process providing medium peel penetration, which removes years of thickened skin an..
LIMITED TIME OFFER - ORDER TODAY AND GET AN EXTRA SKIN PEEL 4000!Regardless of your colour, uneven skin tone is a common problem that can affect anyone. In addition, skin problems such as spots and ac..
LIMITED TIME OFFER - ORDER TODAY AND GET AN EXTRA SKIN PEEL 4000!Ultimate Facial System 2 is specially developed to treat spots, pimples and excessively oily skin. Within one month your spotty, o..
LIMITED TIME OFFER - ORDER TODAY AND GET AN EXTRA SKIN PEEL 4000!Ultimate Facial System 3 has been specially developed to treat fine lines and wrinkles, large pores, aged and sun damaged skin. 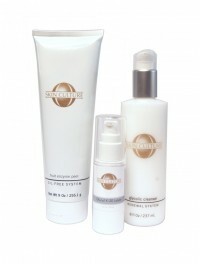 Wi..
Peel 2000 enhances your complexion by removing the outer dead thickened skin and cellular dirt and debris. Damaged and aged layers peel away to reveal a clearer, smoother, new skin..
Peel 1000 is a light chemical peel designed to enhance your complexion by visibly exfoliating the outer dead skin and cellular debris. Peel 1000 is ideal if you are looking for a bright..